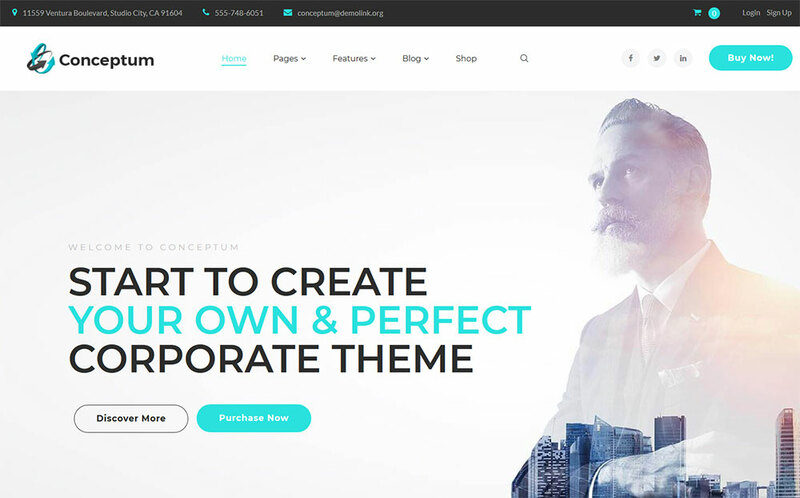 Today, there is no simpler task than find a gorgeously designed theme for your online business. Template developers and marketplaces leave the wide audience impressed with an incalculable number of beautiful template fitted with a splendid list of functions included. So it seems like the greatest difficulty that we meet while choosing a template is an actual process of making a decision. Well, before you start to feel like a kid in a candy store remember, all that glitters is not gold. The appearance of your website is an important part of the successful online promotion. However, your website won’t work effectively, if it doesn’t meet the requirements of a search engine. You got that right. We will talk about the good old SEO since it is a real key to your success. Valid and Clean HTML Code: remember, even the most eye-candy design will not save your web project from a failure, if a template goes with a messy code. The easier it is for web spider to understand your code, the higher ranking your website gets. Responsiveness and Retina Ready: it is unlikely you get a single warm word from your visitors if your website looks like a lagged chaos on mobile devices. 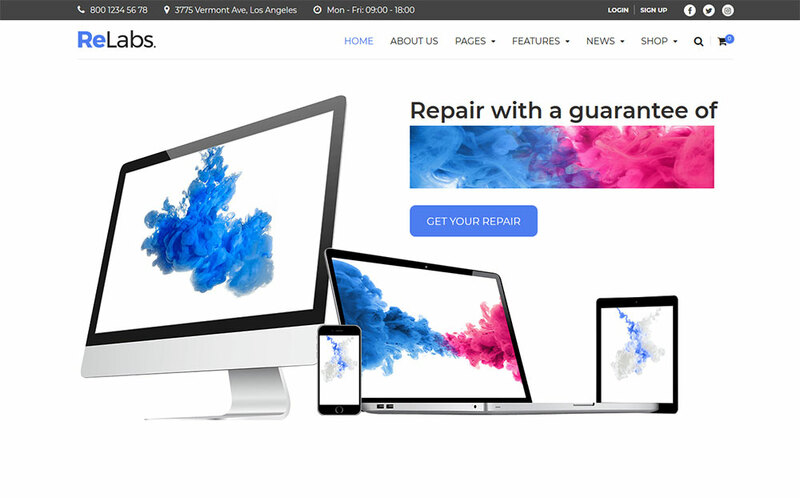 Responsive and Retina Ready template arranges a perfect look and clear color payoff on any device. We have prepared for you a list of SEO-friendly templates for SEO agencies. Does it sound like tautology? Yes. But it is a complete truth! What is more, these themes are created by top leaders of web development and totally compile with the newest standards of coding and web design. Each template equipped with a drag-and-drop builder, an incredible pack of plugins, and variety of customization options. 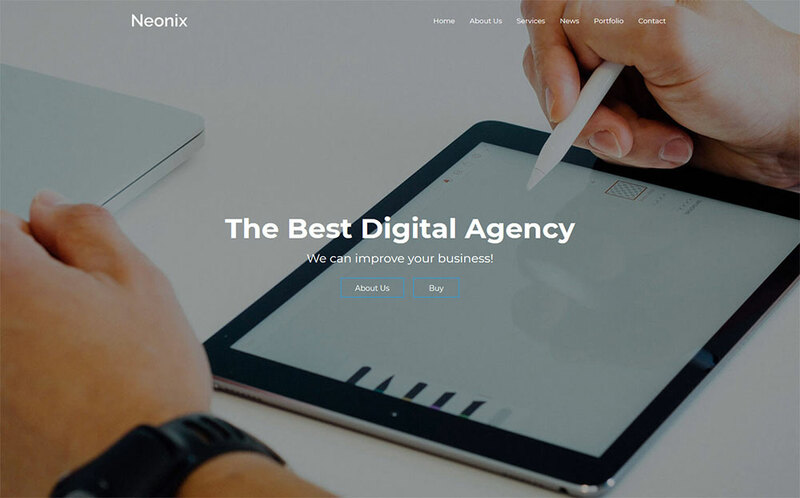 Here is a list of best business and services WordPress themes to make the online existence of your SEO agency profitable and efficient. 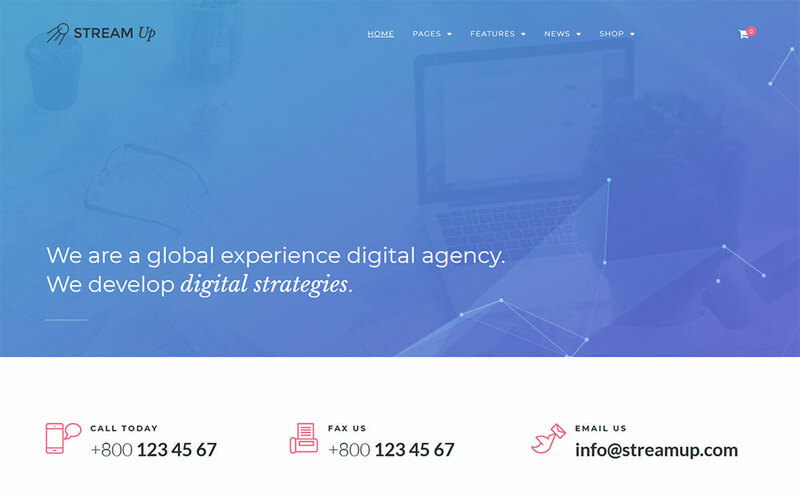 In brief, Exponent is one fine WordPress theme for web agencies and SEO companies. Of course, the website canvas is ready and set to cater to other industries and niches without hassle, too. You have the demos ready for you to tailor and fine-tune them to your needs and make them follow your regulations to a T. When you will put Exponent to work, you immediately realize how simple the process is. First and foremost, you need to have no prior experience in programming and design. Thanks to the visual page builder, you, well, code visually. 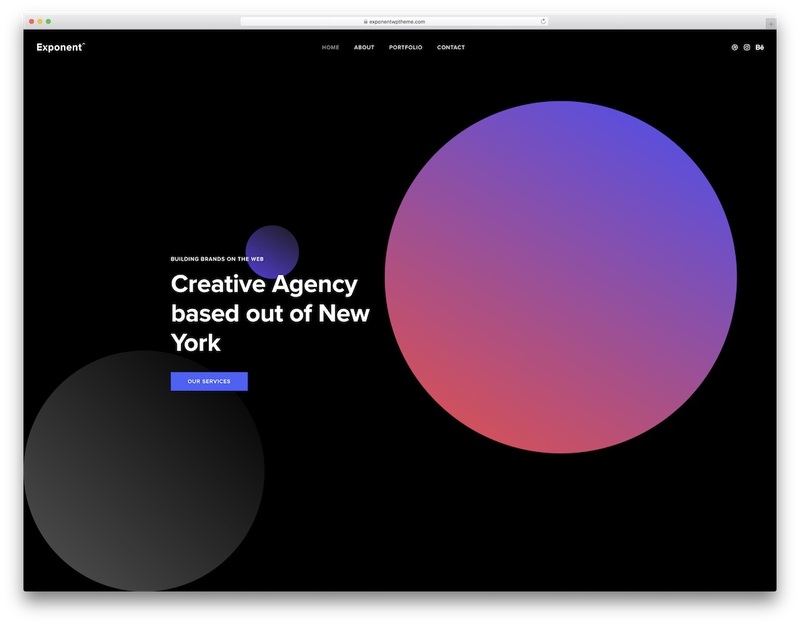 Absolutely stunning portfolios, hover effects, complete control over colors and typography, working contact form, you name it, Exponent has it all and then some. Spread the word out and introduce potential clients to your fresh new agency. Get yourself a template with a gorgeous design and easy navigation. You will be able to choose from a variety of pages that fit all the occasions. This template goes with 4 elegant headers, 4 stunning blog layouts, 3 footers. ReLabs theme is optimized for search engines, so you will get the best ranking possible. This WordPress template is easy to customize since it goes with WordPress Live Customizer and Elementor Page Builder. And the use of it requires no coding skills at all. Thanks to the Ecwid ready option you can transform your blog into a fully-functional online shop and earn money right away. This stunning template impresses with its color combinations. Neat and clean design with delicate highlights catches will catch visitors attention. You will not suffer from the installation process since it will take you no longer than 5 minutes. Using an immaculate pack of Cherry plugins you can arrange popups, represent your projects, show off your team members, organize a service list, and even more. Its fully-responsive design adjusts perfectly to a smaller screen, as good as to bigger ones. What is more, you will get a package of colorful images that will make your website look even more attractive. Be stylish while promoting your advertising agency. With help of premium content modules, you can create a beautiful content and place it on multiple layouts. Use an elegant slider to highlight the important information and promote your skills. A well-structured clean code will help you to boost your SEO and get no troubles while the customization process. 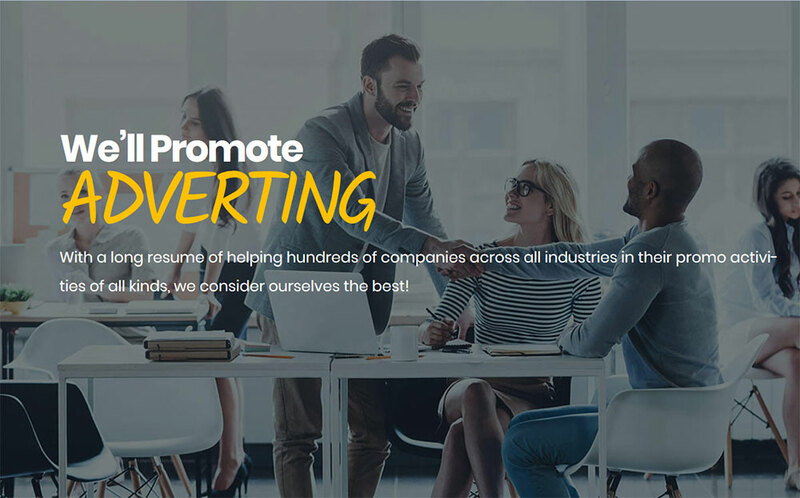 A professional-looking “About Page” can be used to collect testimonials, introduce your team, tell the story of your company and much more. Enjoy the advanced functionality of custom widgets, that give you some additional ways to showcase your services. 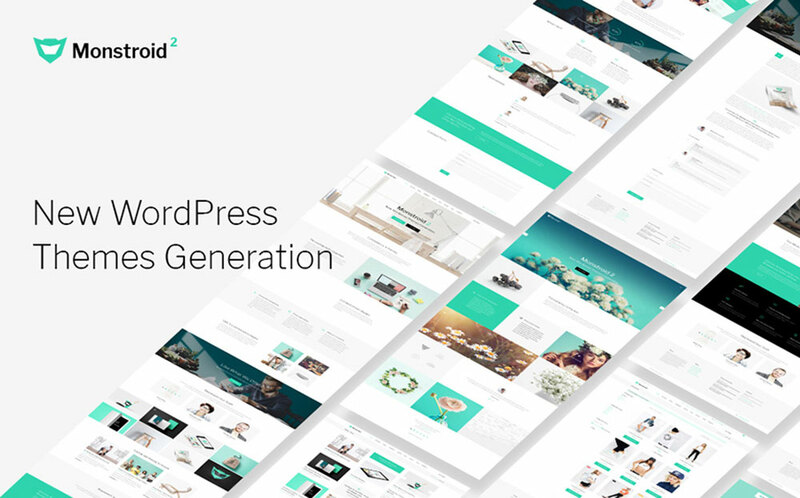 GridLabs template will help you to build up your authority on the web. 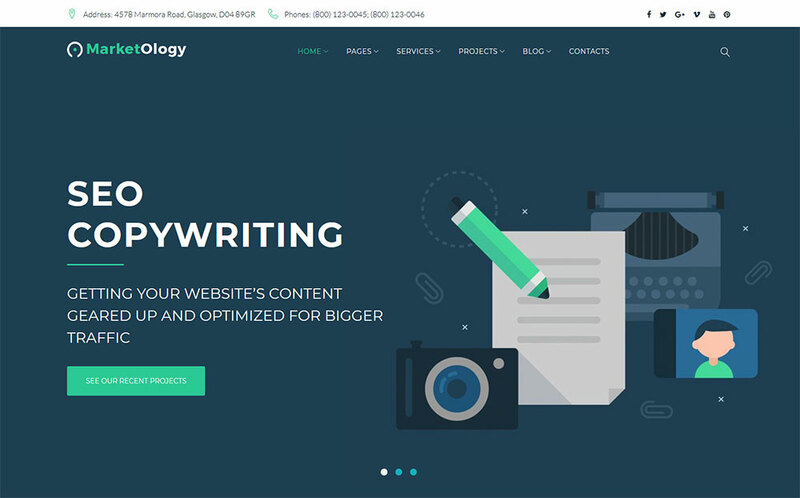 The process of editing is very simple since the template built with drag-and-drop page builder and equipped with various ready-to-use content modules. This elegant premium template goes packed with a bunch of bonuses, such as tons of high-quality images. Also, you will get a sleek Jet Elements plugin that will empower your website with extra functions. Moreover, Booked Appointment Plugin is also included, so your clients can book a consultation right through their device. This template will make your online presence more productive. 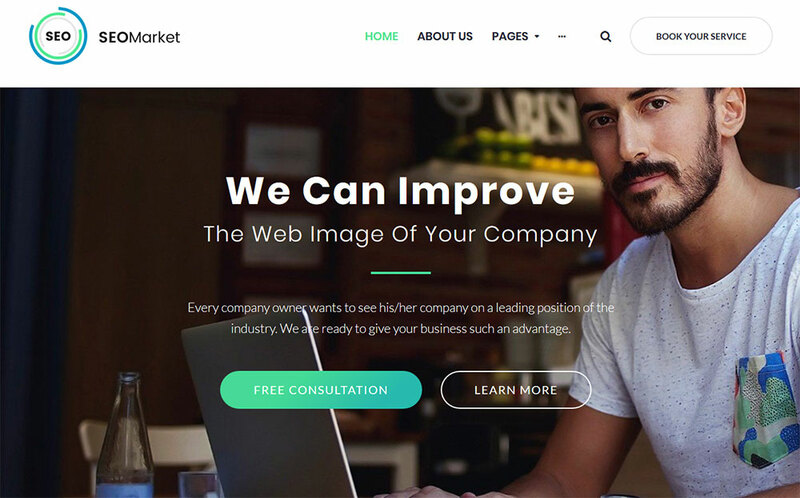 Pick this template if you want a quick high-quality solution for your SEO agency. Enjoy a one-click installation and drag-and-drop based website customization. The Parallax effect ensures the smooth scroll effect, that will let your visitors revel in a beauty of 2D atmosphere. If you have no time to create your own design, then use ready-made page layouts to arrange blog or a portfolio in no sweat. You can also use a video background as a powerful promotion tool, or place a video on a slider to display your projects. Its layout is responsive and cross-browser compatible, so you will get lost of high-quality traffic. Set up an effective website. The functionality of StreamUp template is just insane: Jet Menu, Jet Elements plugin, Cherry Popups, Cherry Projects, Cherry Socialize, Cherry Search, etc. You will be able to communicate with your visitors via blog, creating content, collection shares and comments on your work. It goes with Google Fonts integrated which makes super-easy to choose a style for your text. Pack of bonus images will help you to enrich your website look with gorgeous relevant content. Effective and Friendly support of TM team will help you to solve any questions on any stage of your work with the template. 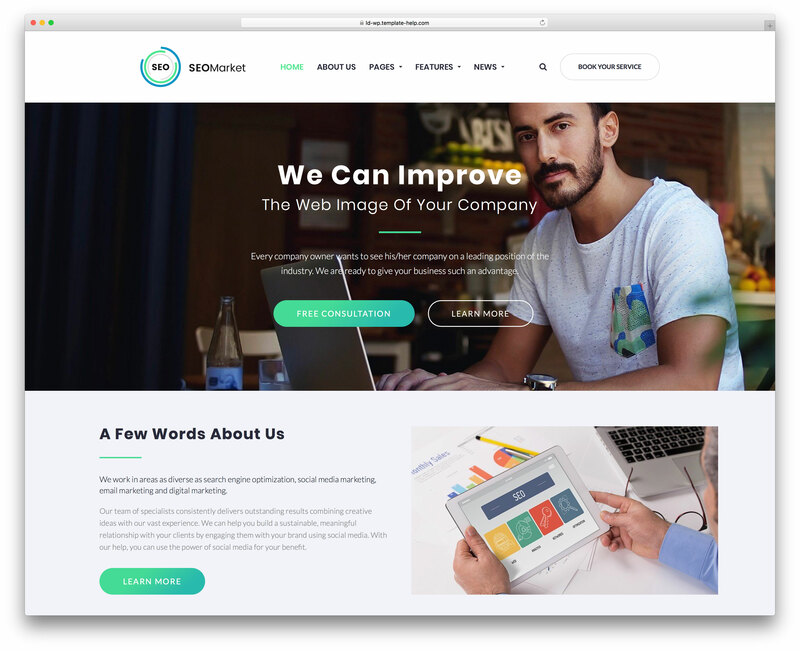 Conceptum template looks simple enough yet attractive.Use the world’s most popular Visual Composer for WordPress to adjust its eye-catching pages in your liking. Its whole design based on Mobile First Paradigm, which means your website will look impeccable on any device with any screen size. Booked Appointment plugin will help you and your clients to save a lot of time. Create a blog to boost your SEO. You can use a Related Posts option to take a crowbar to your client’s heart. Superb WordPress Live Customizer lets you adjust your page and add changes in the live mode without lags and page reloads. 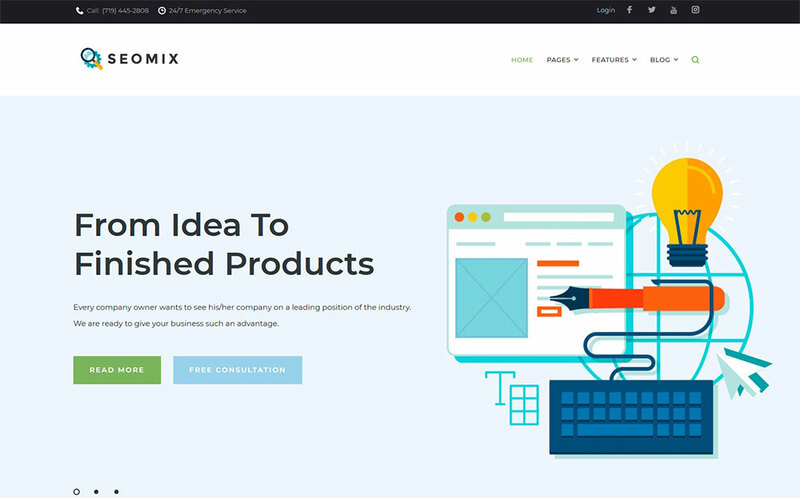 SEOmix is an incredibly modish Parallax template spiced up with background video animation and reach functionality. Such features as Live Search, MegaMenu, and Dropdown menu will help to create the most delightful online shopping experience. Coded with CSS 3 and HTML 5 this template ensures a strict accordance with search engines requirements. You can create a unique design via Elementor drag-n-drop page builder, upload your logo, play with a color palette, use different typography and many more. The theme has exceptional graphic elements, so you will look stylish and professional. Neonix theme coded with W3C Valid and Clean code shows the best responsiveness on any device. It has lots of pages, such as Blog, Contacts, Services, Gallery posts, Portfolio for projects, etc. 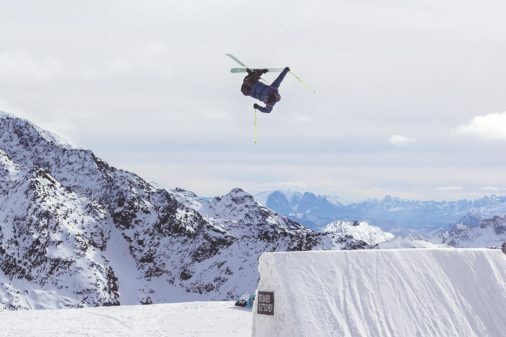 You can arrange the most impressive header in a minimalist style, or place a video as an impressive background. Thanks to the Google Map option your clients will easily find your office. A pack of Ajax options will provide your visitors with smooth search and website exploring in general. You can install this template in one click. Don’t worry, the whole customization process goes supported with well-prepared documentation. 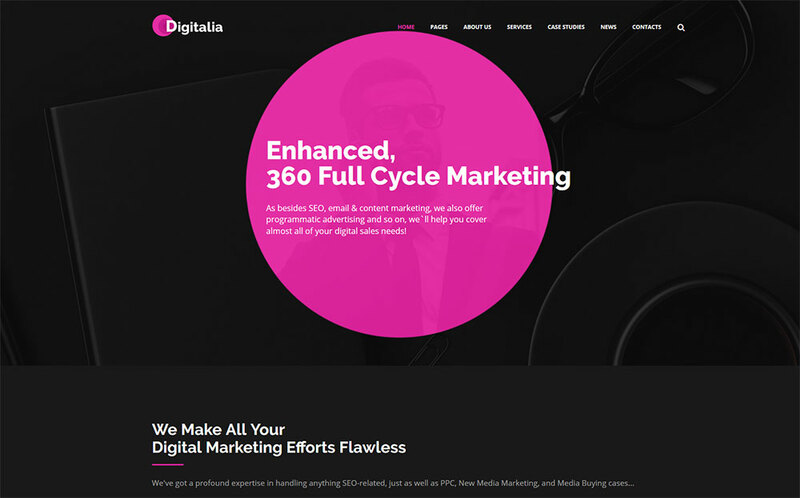 Check out the advanced capabilities of Digitalia template. 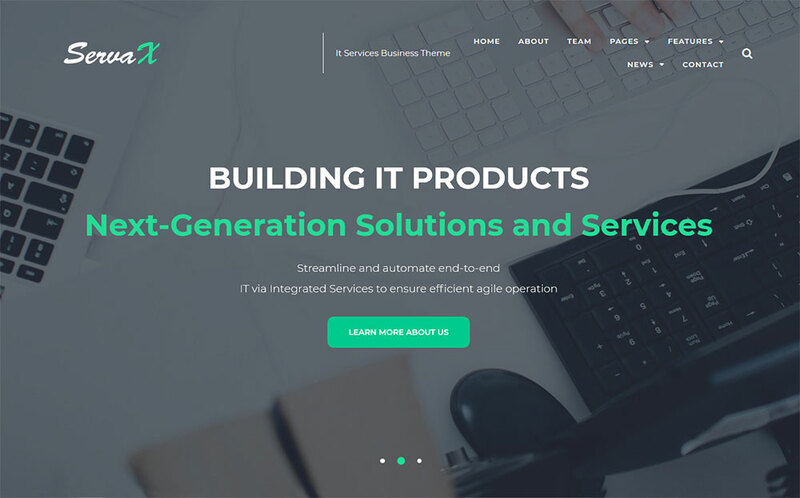 A frontend building requires no work with code since Elementor page builder provides you with an ability to work with pre-made content modules. The theme goes with complete search engine optimization, user-friendly and flexible interface. This theme was created niche representatives requirements in mind, to make your work more effective. There is a number of header and footer designs you can choose from to adjust your website look in compliance with the philosophy of your brand. 24/7 friendly support will be glad to solve all your issues. 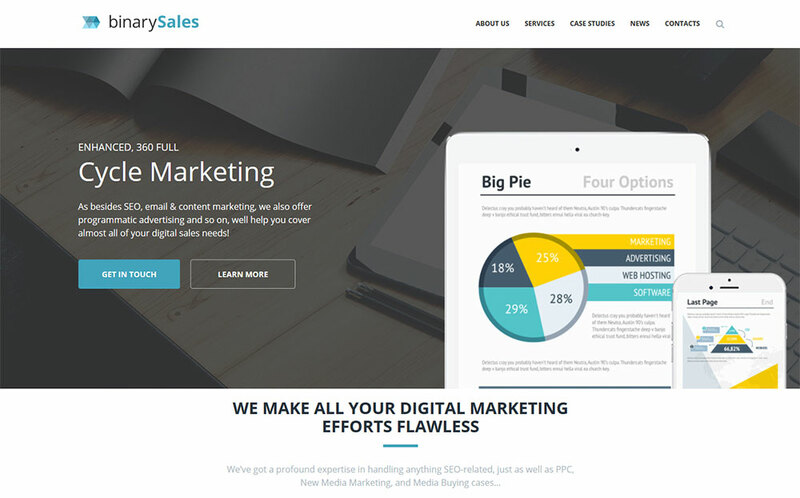 Classy design and powerful framework base are combined in MarketOlogy template. Buying this one you get a large set of layout options, what is more, you can change it and save your favorite layouts in built-in library. 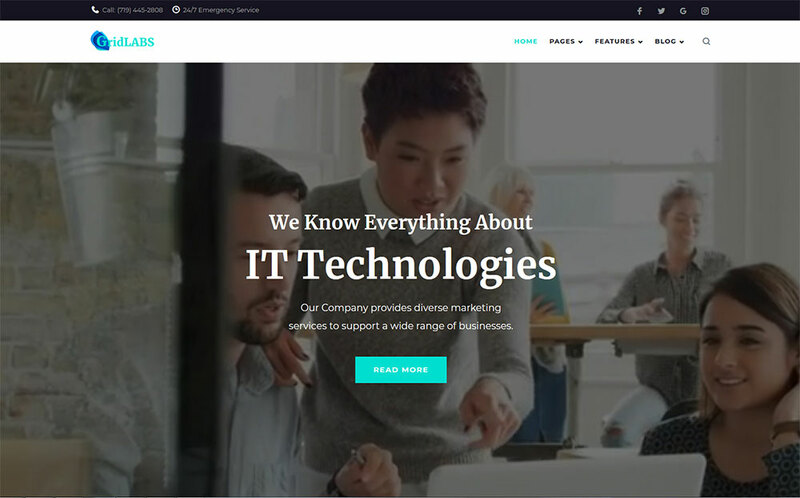 Sleek and modern design of this theme requires minimum efforts to make it efficient for your business. Simply use custom widgets and various plugins to expand the website optionality. It also goes with Ecwid Ready function, so you can switch the ordinary template into a selling one. Use Google Fonts to adjust and customize template design and highlight the value of your content. Monstroid2 is a supreme model of a multipurpose template. This monster is optimized for SEO and speed. 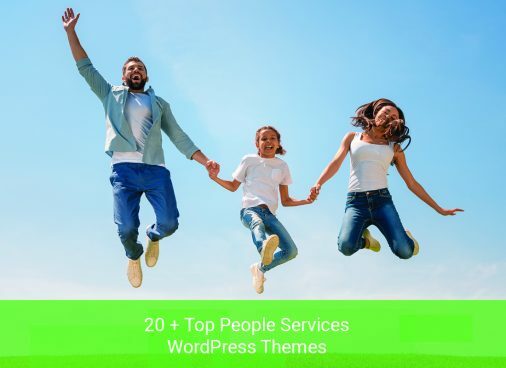 The theme goes with 20 WordPress plugins that will help you to adjust the widest website functionality possible. Buying 1 theme you get 9 design options to choose from. Thusly, this template will be a great solution for restaurants, hotels, creative agencies, shops, blogs, corporates, etc. 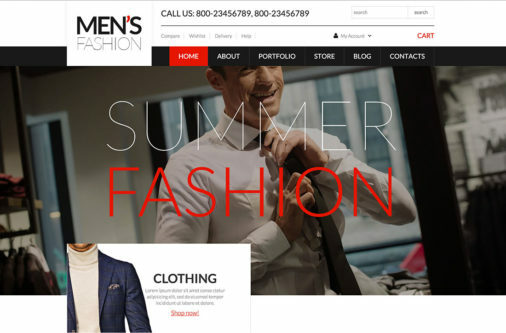 The template is great for e-stores since it has a WooCommerce and Ecwid options. Naturally, it goes with a clean well-structured code that will help you to get higher in a search engine and get a high-quality organic traffic. If you are looking for a template that is easy to configure to your needs, this is the one for you. Power drag-and-drop builder ensures smooth and flexible website customization via working with 25+ content modules and a neat library of presets. Custom widgets will help you to establish Simple Slider, Post Carousel, and various Social Media widgets that will make your online presence effective. Designed by industry leaders, this template shows the best performance and 100% responsiveness. It goes well-documented and supported by the team of professionals. Use a 24/7 support chat and you will get a friendly response.